Are you contemplating between Google certified Partners and ordinary SEO Company? If yes, then you are at the right place. Here you will find clear differences between a Google Partner with the badge on his or her profile and a regular SEO agency. The ultimate goal of the analysis is to establish the best to work on your online campaign between Google Partner and the ordinary SEO Company. A Google certified Partner is closer to Google than an ordinary SEO company is. For an online marketer with the Google Partner badge on their profile, they are listed on the Google Partner search. As a result, they have direct connection to potential clients. The real difference is that, the SEO results of a Google Partner are better than of an ordinary SEO company. Because a parent has access to Google clients, they are better chances of creating quantifiable results. On the other hand, regular SEO companies are more of try and error in their campaigns. All they do is create campaigns hoping that the will yield positive results. Under the issue of how each is equipped for the campaign, Google Partners are much more better equipped than the ordinary SEO Company. Google Partners have access to SEO toolkits provided by Google among other resources. In addition to these resources, Google Partners have support and training provided by Google. 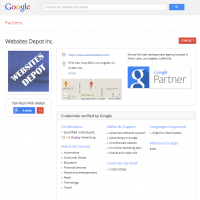 With these at disposal, the Google Partner is fully equipped to run a successful SEO campaign. On the other hand, regular SEO companies have access to limited tools that do not originate from Google. As a result, they are never sure that the campaign they are running is authentic and successful. Google parent being the latest program from Google, individual who have qualified in the program have the latest strategies in online marketing. Considering they have training and the certification exams are available free, it is more likely that a Google Partner is better skilled to handle a SEO campaign. On the other hand, regular SEO companies use the ordinary SEO strategies. For any regular SEO agency that has Google certification, they need to part with $50 per each exam taken. 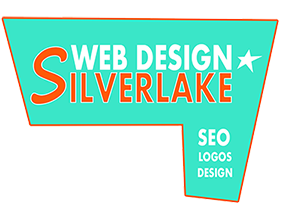 As a result, it is most likely that the regular SEO Company does not have as much skills for the SEO campaign. With the above credentials, it is obvious that a Google Partner is well equipped to manage a SEO campaign for maximum results. Simply said, it is similar to having a Google technical employee working on your website to rank it, increase online prominence among other.